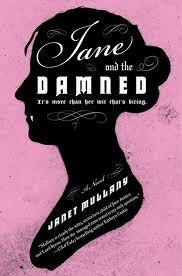 In my novel, Jane and the Damned, Jane Austen is a vampire. Not true. England is invaded by the French. Also not true. Popular myth has it that the last time the country was invaded was in 1066. There were some home grown invasions–didn’t the Scots cross the border a few times? How about the Duke of Monmouth in 1685? But in fact there was an invasion in February of 1797, when the French came ashore at Fishguard. Since Fishguard is in Wales, not England proper, and the story has the trappings of a Gilbert and Sullivan operetta with a woman of a certain age in a starring role, it’s no wonder it’s not the stuff of legend. The previous year, the French, under the command of General Lazare Hoche, attempted an invasion of Ireland that, with the support of the Irish, was supposed to spread to the north of England, gaining support in the great industrial cities of the north and marching southwest to Bristol–in other words, taking the major ports, which is what happens in Jane and the Damned. Hoche’s attempt was foiled by bad weather and poor organization. But in 1797, Bristol was targeted again, this time under the command of an Irish-American from South Carolina, William Tate, with four ships carrying over twelve hundred soldiers wearing captured and dyed English uniforms. The cloth would only take a dark brown dye so they were known as La Legion Noir (The Black Legion). The weather was too bad to attack Bristol, so they sailed north, landed near Fishguard and unloaded soldiers and weapons during the night of February 22-23. A farm was captured. Vive la France! The Pembrokeshire Militia gathered, joined by reinforcements from the navy, but discovered the French had superior tactical positions and possibly outnumbered the English. From here it all went downhill. Tate’s forces lost control of the situation, and here’s where the G&S elements come in. 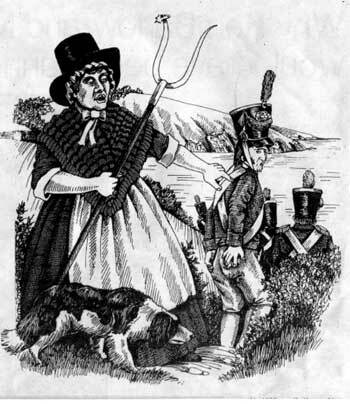 The French, seeing at a distance Welsh women in their traditional dress of red shawls and black hats, thought they were English infantry; furthermore, Tate was having problems with his undisciplined troops becoming mutinous, and the local inhabitants, instead of flocking to support liberte, egalite and fraternite, were hostile. Hundreds of civilians joined the blundering English troops who did not exactly exhibit great military prowess. As a further blow to French (and possibly English) male pride, a local cobbler, 48-year-old Jemima Nicholas, supposedly captured twelve French soldiers singlehanded. The French surrendered. There’s a full account of the invasion at http://www.fishguardonline.com/Last_Inv.html. And in a comic postscript, the captured French officers later escaped in the yacht of the English commander Lord Cawdor. I found this episode absolutely fascinating, and I wondered if you have any favorite snippets of real history that you think are stranger than fiction. Jane Austen–Novelist . . . gentlewoman . . . Damned, Fanged, and Dangerous to know. Aspiring writer Jane Austen knows that respectable young ladies like herself are supposed to shun the Damned—the beautiful, fashionable, exquisitely seductive vampires who are all the rage in Georgian England in 1797. So when an innocent (she believes) flirtation results in her being turned—by an absolute cad of a bloodsucker–she acquiesces to her family’s wishes and departs for Bath to take the waters, the only known cure. But what she encounters there is completely unexpected: perilous jealousies and further betrayals, a new friendship and a possible love. Yet all that must be put aside when the warring French invade unsuspecting Bath–and the streets run red with good English blood. Suddenly only the staunchly British Damned can defend the nation they love . 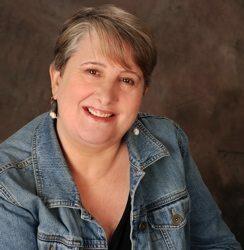 . . with Jane Austen leading the charge at the battle’s forefront.